We're late, we're late, for a very important date! After getting completely over excited over just the trailer, we were extra happy when Alice in Wonderland was finally released in cinemas. Our excitement however, didn't correlate with organisation in the slightest and so, nearly two weeks after its release we eventually managed to organise a cinema trip, donning our cutest Alice-inspired charms and of course, 3D glasses...attractive. I'm not going to lie; the 3D glasses did make me feel super-cool and my excitement at the prospect of keeping them after the film was just too much to contain. Naturally, they've remained on my desk in the same spot since Monday and are completely useless. Still, they are MINE! Anyway, back to the film. Personally I really enjoyed it - Burton's trippy style was the perfect compliment to Lewis Caroll's equally zany story (although the film doesn't actually follow the original tale) and the actors were selected really well. I especially loved Stephen Fry as the Cheshire Cat - his voice just made the character seem even mellower... as if having the ability to float around aimlessly wasn't breezy enough. 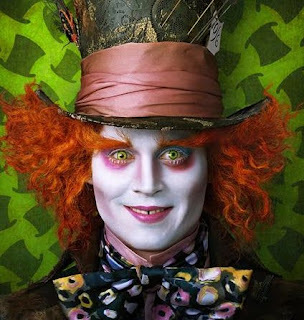 Although Tim Burton's known for his ultra-wacky approach, and in spite of the fact that the film was undeniably weird (yet wonderful) one of my favourite aspects was the slightly exaggurated features that were juuust enough to make the characters look dreamlike, but not enough to be OTT. 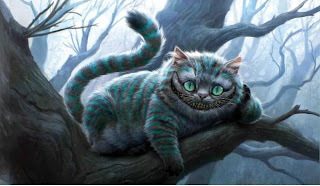 Cheshire's slightly creepy and extra toothy smile for example, or Hatter's somewhat enlarged and off-centre eyes. Storyline aside, the only negative aspect for me was the 3D gimmick. I just don't think I've quite come round to the idea of it. I don't really think it added to the story here, although maybe I wouldn't be saying that if I'd seen it in good old 2D as well. Overall verdict? It's definitely a watcher. I'd advise anyone to see it, and although it's definitely not the best film I've seen, it's certainly one of the most unique. And hey- if you end up not liking it, at least you can leave in the knowledge that, should a suitable use come to mind, you have a pair of very fetching (if slightly expensive) 3D glasses to hand. I really enjoyed the story and the characters were very well cast. 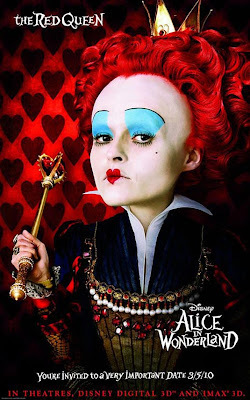 I thought Helena Bonham Carter was brilliant as the slightly unhinged Red Queen. Did you like our Alice inspired outfits? Have you seen the film yet? Agreed. The 3-D poke at the audience bits rubbed me the wrong way. Besides that I enjoyed it. 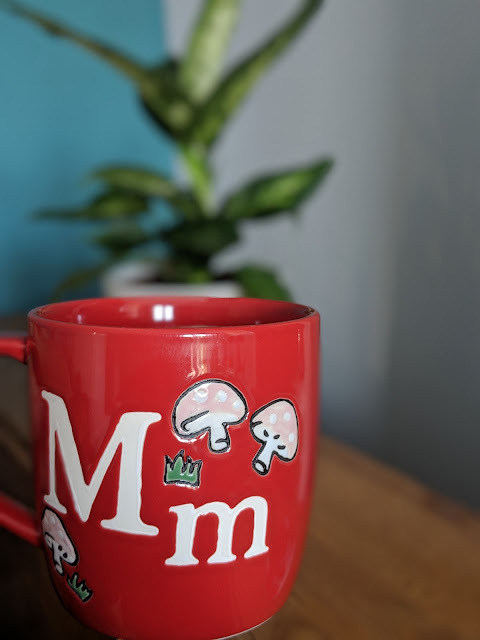 Even had a tea party afterwards. A store was selling cheshire cat ears but I concluded it would look ridiculous to wear in public. Yeah I think I would've enjoyed it just as much without the 3D-ness... but I reckon I would've had to give in to buying cheshire cat ears if they'd been available!! !